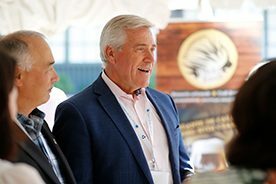 HALIFAX, July 26, 2012 – First Ministers are taking a leadership role on shaping Canada’s economic future. 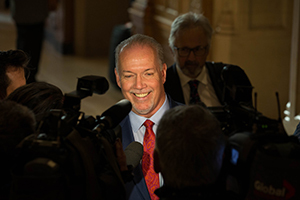 Maintaining a strong and growing economy is Premiers’ number one priority. Canadians across the country continue to be impacted by economic events both domestically and around the world. Persistent weak economic growth in our traditional trading markets and the growing economic strength of China, Brazil, India and other emerging economies require new strategies to compete and succeed globally. To fully engage all the economic forces in the country the two orders of government must be working together. 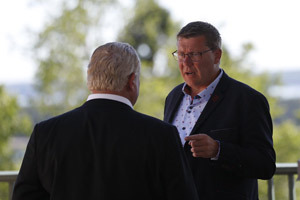 To this end Premiers will work with the federal government on developing a stronger relationship that is essential to the further success of Canada. 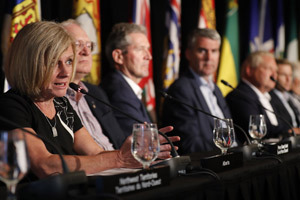 As a first step, Premiers believe it is urgent that the Prime Minister join the Premiers at a First Ministers’ meeting in the fall to discuss the economy, including the state of the world economy and its effects on the daily life of Canadian citizens. 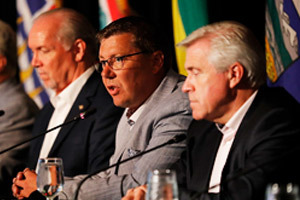 Premiers asked the Premiers of Nova Scotia, Ontario and Alberta to begin the planning for the meeting.